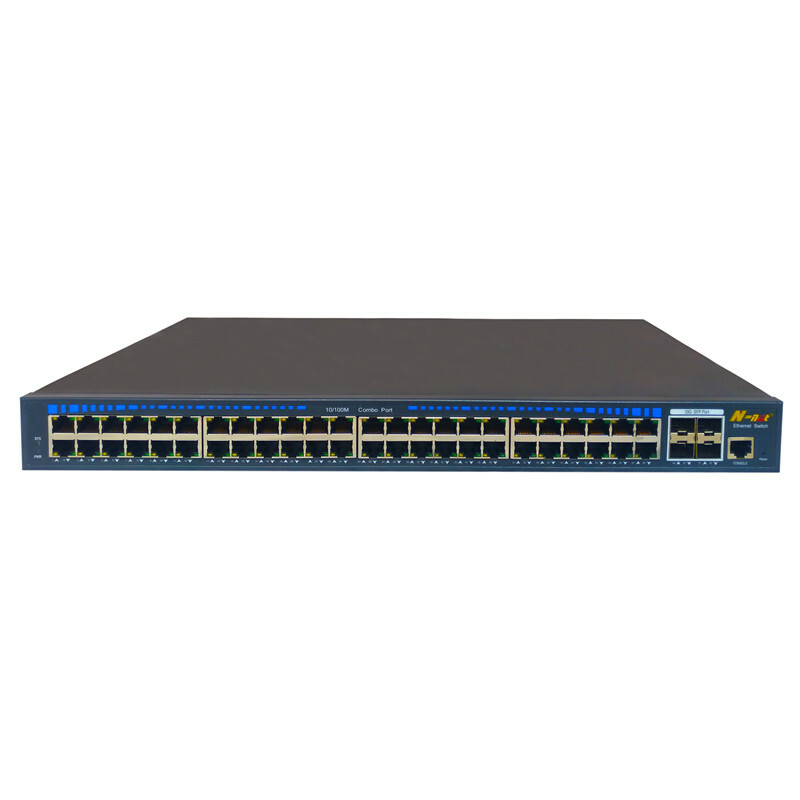 NT-50MG48T4XGF POE Switch provides 48 10/100/1000M Ethernet ports and 4 uplink 10G SFP+ ports. with multilayer exchange capacity and wire speed forwarding capability, users can set up the functions of the switch through Web, CLI, TELNET, SNMP and many other ways. Supporting IP, MAC, VLAN, port, user identification element dynamic or static binding. 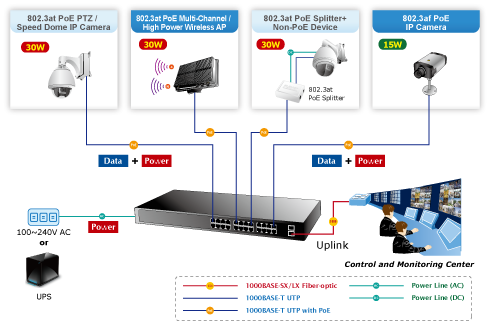 The Gigabit Managed POE Switch is with port isolation, which is to prevent communication between 2 neighbor network equipment the same broadcast domain and reduce network risk. Through supporting the perfect storm control function, N-net L2 Managed POE Switch can restrain the broadcast, multicast and unicast storm. It is very suitable for converged applications of large networks and core applications of small and medium networks. 6. DHCP Snooping, LLDP, POE+ management, IP Source Guard, ARP inspection, ACLs etc. 7. Support spanning tree STP (802.1D) and RSTP (802.1W). 11. Support enhanced management through WEB, CLI, TELNET, SSH, SNMP. SYS: 1 Green lights indicate system status. ◆ Connect the power outlet and the switch with the power cord. Looking for ideal Gigabit L2 Managed Switch Manufacturer & supplier ? We have a wide selection at great prices to help you get creative. All the L2 Managed Gigabit POE Switch are quality guaranteed. 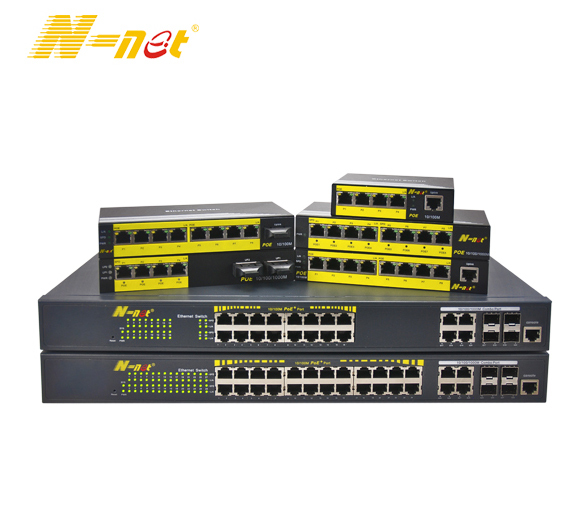 We are China Origin Factory of Managed Gigabit Poe Switch. If you have any question, please feel free to contact us.